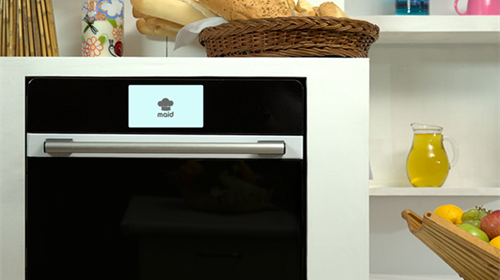 The Good Housekeeping Institute claims that cleaning the oven is one of the most hated of household chores in the UK. And let’s face it – when you’ve got a list of things to do, spending 2-3 hours on cleaning your oven probably falls to the bottom of that list, every time. So, you probably do the next best thing and call in the cavalry to help. We share 4 of our top reasons why using local oven-cleaners are the answer you’re looking for to keep your ovens sparkling. Using local oven cleaners means: you’ll have local oven cleaners to use. Yes. That does make sense. Think about it this way – who doesn’t love the accessibility of being able to call on their trusted plumber, electrician or DIY-handyman when they need to? Unfortunately, very often we only become aware of the need to support our local businesses when they aren’t there anymore. Which is why the more you use them, the more they will be around to provide critical services to you, your family and your business. It’s no different when it comes to oven cleaners. Customers choose Ovenclean not because we’re the largest network of oven cleaners in the UK, but because each of our specialists provide a personal, attentive service that is local to you and available when you most need them – usually once or twice a year! If the demand wasn’t there, local businesses simply wouldn’t survive. And that’s not a nice prospect to consider when you thrive on the ease and accessibility of being able to pick up the phone and have someone help you with what you need, as soon as you need it. Supporting your local tradesperson means that you’re investing directly into your community. Remember that by supporting your local businesses, like a local oven cleaner, it means that the money you spend, stays in your community. What you spend in a local business is also spent in another local business, and soon the economy that sustains the local fresh fruit grocer and the local butcher becomes a lifeblood that sees improvements to roads, safety, schools, and so much more. There’s a trend growing in the working world – more and more people are setting up their own businesses. Entrepreneurship in the UK is at an all-time high. People are starting their own businesses in their own communities, to be able to serve you better, just as each of our oven cleaning specialists has done, and by choosing to use local oven cleaners, you’re actively choosing to grow and sustain your own community. Using local oven cleaners means: you’re supporting a sustainable environment. A lot has been written and said about living a more sustainable and environmentally-conscious life – and it’s no different when you are faced with the choice of supplier you use to clean your oven. Using a local tradesperson, even to clean your oven, means that you have a direct impact on the reduction of harmful effects on our air, water and land pollution levels. On average, a diesel van travelling 5 miles generates just under 2kg of carbon dioxide. The more carbon dioxide we produce, the more greenhouse gasses we produce. The more gasses we produce, the quicker we warm this planet up. The quicker we warm the planet up, the sooner we see the extinction of animals, the rise of our ocean levels, the deforestation of our green woods. Using a local supplier that only needs to travel a few miles, is surely better than choosing to use someone who has a much greater distance to travel? Using local oven cleaners means: you get to know the personalities behind the service. There is very little more satisfying in your search for a business service than being able to deal with a real, living person at the end of a phone line – especially when things go wrong. Working with a local supplier means that you don’t have to deal with a nameless, faceless organisation that passes you over to a department who doesn’t know you, doesn’t understand your environment and doesn’t treat your query as an individual. By choosing to use a local oven cleaner, you receive a better level of customer service, the service you receive is so much more personal (you may even already know them), their attention to detail is focused on you, and your need, and because they’re entrepreneurs, often offer advice and support which is unique and insightful – something you’d be hard-pressed to find from larger, more traditionally corporate organisations. 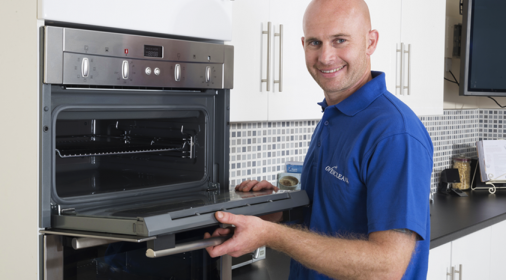 With over 20 years of experience, Ovenclean has built a fantastic reputation for providing outstanding services to customers through our specialist network of oven cleaners. 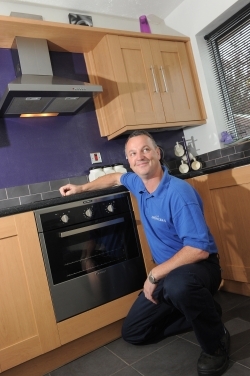 We may be national, but working with individual specialists means that we offer you a local, personal and attentive service that gets your oven, AGA, Range, hob, extractor fan, microwave or BBQ sparkling like new again – no matter where you are. 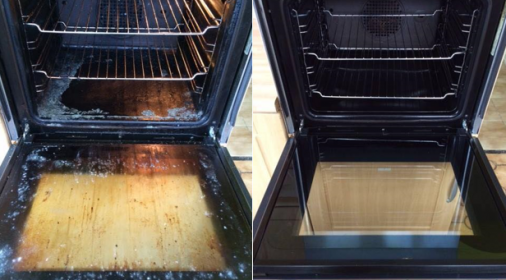 Are you looking for a local oven cleaning specialist? Call us on 0800 840 7127, or complete our online form for your free quote.